A boy went to the pet store to buy a puppy. Four of them were sitting together, priced at $50 each. Then there was one sitting alone in a corner. The boy asked if that was from the same litter, if it was for sale, and why it was sitting alone. The store owner replied that it was from the same litter, it was a deformed one, and not for sale. The boy asked what the deformity was. 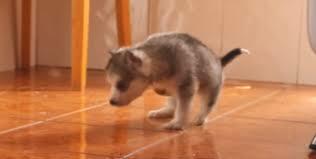 The store owner replied that the puppy was born without a hip socket and had a leg missing. The boy asked, “What will you do with this one?” The reply was it would be put to sleep. The boy asked if he could play with that puppy. The store owner said, “Sure.” The boy picked the puppy up and the puppy licked him on the ear. Instantly it was love at first sight and the boy decided that was the puppy he wanted to buy. However, the boy insisted and the store owner finally agreed. Excitedly the boy pulled out $20 from his pocket and then ran to get another $30 from his mother. She obliged and it was a done deal. The puppy now belonged to the boy.